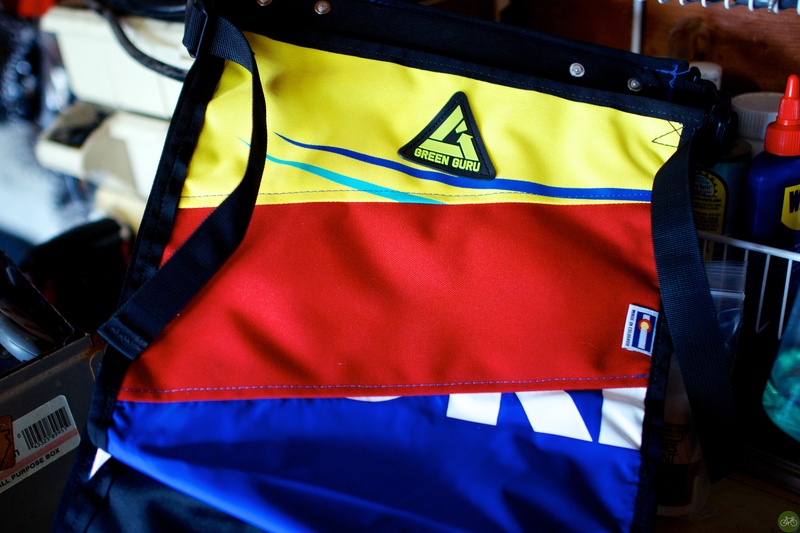 The FreeRider began as a class project at Metro State in Denver. 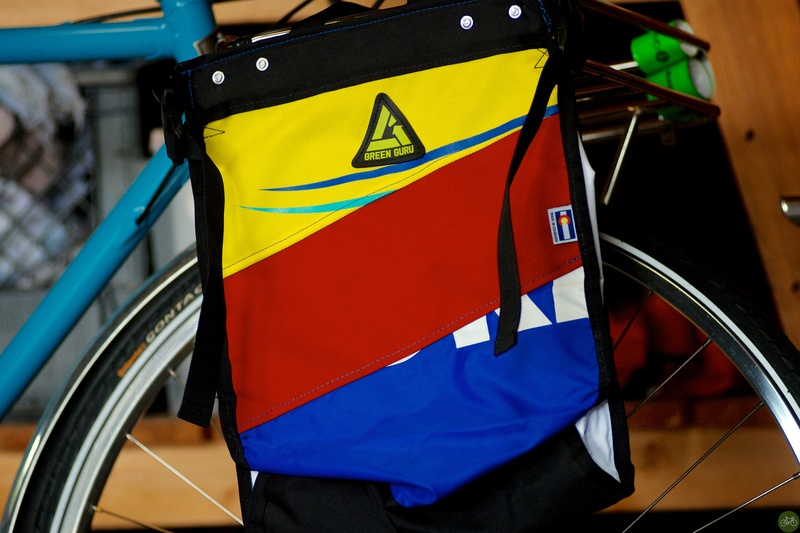 The goal was to design a cycling related product that fit with the current Green Guru product-line. The first prototype was so well received that we decided to continue and Kickstarted it. 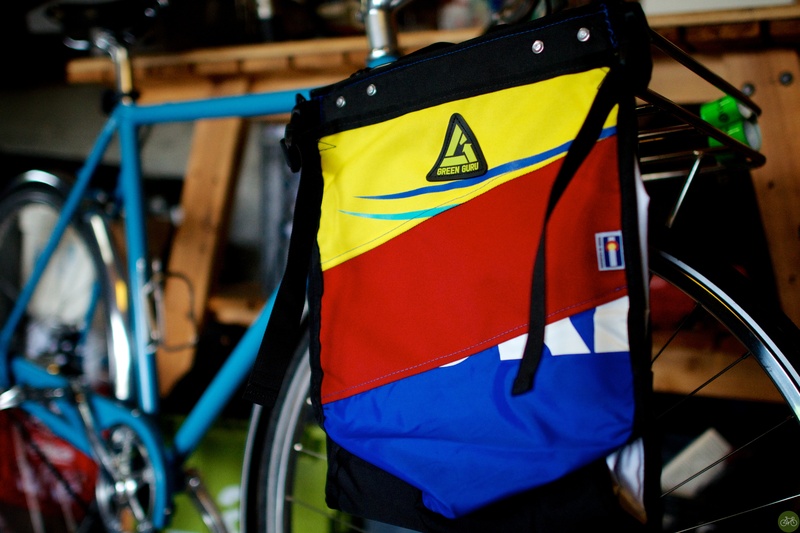 Funded in just a few weeks, the FreeRider’s Kickstarter campaign ends this week and it’ll ship in two versions: upcycled tent fabric or inner tubes for $60 or $75. As the bullet points explain in their marketing, the pannier hangs onto an existing rack and features bolts to lock in it place. In these photos, I attached it to the Shinola Runwell’s front rack and use it for shopping. With plastic bag laws in the Seattle area, I take it into the store with me, fill it up with groceries, then hook it back on the bike, and ride home. You may recognize the Green Guru name too, they’re sponsors for life of our Mobile Social Interbike, cause they always bring the boom by bike, like this.